This page may require cleanup to meet basic quality standards. The specific problem is: mods and somebody should test SS. You can help by modifying the article. The discussion page may contain useful suggestions. Liandri Archives - A dedicated Unreal wiki site that collects information about all the games in the series. Retail keys can be activated on Steam. Black Edition. Comes bundled with the Titan Pack. Doesn't require Steam to start. The serial key is used either for installation or tied to an online account for use with online play. Available for free. 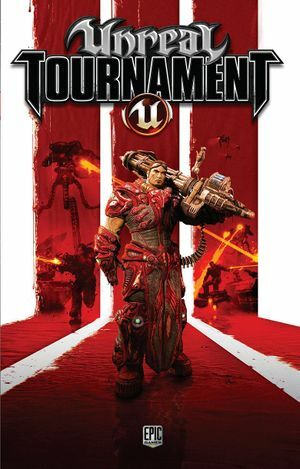 Included with Unreal Tournament 3 Black Edition. See Titan Pack for details and download link. Delete or rename Copyright_PC.bik, EpicLogo.bik, Intel_Duo_logo.bik, MidwayLogo.bik, Nvidia_PC.bik and UE3_logo.bik. The latest patch is Version 5 (v2.1) (only needed for retail versions). Use the Official Gamespy Patch to replace GameSpy master servers with Epic servers. Free DLC that adds a significant amount of fixes and content. You don't need Titan Pack if you've bought the Black edition. Widescreen Fixer is advised. See the WSGF entry. Set with Texture Detail setting; 4x or 16x. 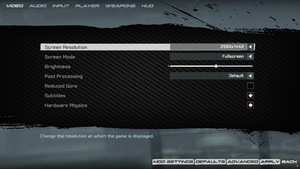 No frame rate or refresh rate cap/Disable "Framerate smoothing" option in settings. Replace UTInput.ini with the one from the archive. Sound effects, music, voice, ambience and announcer. Cutscenes only. In-mission dialog and team announcements have no subtitles. Use GS Patch to replace the deprecated GameSpy servers. Co-op supports 4 players. Find the following line StringData=(Tag="Splitscreen",DefaultValueIndex=0) and set DefaultValueIndex to 1. Ultron has a forum thread with various fixes for the game. 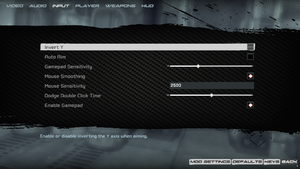 TweakGuides has created a comprehensive guide for adjusting game settings. GameSpy Use the Official GameSpy Patch to replace the deprecated GameSpy master servers. Open UTCustomChar.ini and scroll to the [UTGame.UTCustomChar_Data] section. Mods can be easily found through quick Google searches; there are many fan sites dedicated to Unreal Tournament 3 modding with the most popular being Beyond Unreal or Epic Games Official Forums. Epic Games Official Forums have a forum category for custom maps and mods. An Epic Games Forum post has the winners of the "Make Something Unreal" contest which list many great mods for different categories. Maps are custom levels that are created using mod tools or editors. A forum user at Giant Bomb has compiled a list of essential maps, although some have broken links. 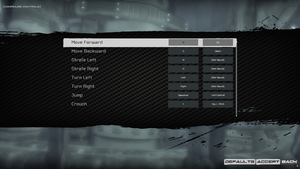 A list of essential custom maps for Unreal Tournament 3 can be found on GameSpy's Planet Unreal website. Community Bonus Pack (CBP) is a famous map pack featuring many great high quality maps. The COMP (Competitive) Map Pack focuses more on competitive 1-on-1 style maps. The Unreal Old Friends Map Packs Volume 1 and Volume 2 contain a high amount of high quality maps in various game types. Characters are unique custom races that can be downloaded, skins are different color schemes or textures for current existing races. Skins and characters can be downloaded from Beyond Unreal's Skin City website. 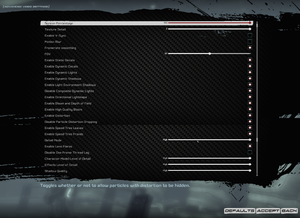 Total conversion mods use the game's engine, while letting you play a whole new game, for example The Ball mod which is a single player total conversion mod. 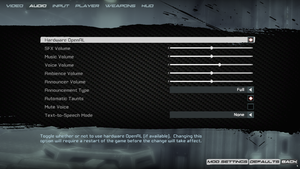 Total conversion mods can mostly be found in Mod DB's Unreal Tournament 3 page. The Haunted is the winner of the "Make Something Unreal" contest and one of many entries of the contest that have gone commercial as a stand-alone game. Angels Fall First is a large scale sci-fi multiplayer mod that has now undergone UDK development. Renegade-X is a multiplayer mod that is a remake of the Command & Conquer: Renegade game. ↑ 1.0 1.1 File/folder structure within this directory reflects the path(s) listed for Windows and/or Steam game data (use Wine regedit to access Windows registry paths). Games with Steam Cloud support may store data in ~/.steam/steam/userdata/<user-id>/13210/ in addition to or instead of this directory. The app ID (13210) may differ in some cases. Treat backslashes as forward slashes. See the glossary page for details. This page was last edited on 6 April 2019, at 02:39.